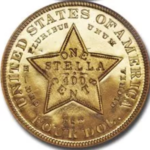 $20 Gold Pieces, also known as Double Eagles, were the largest regular issue gold coins made by the United States. There are two basic design types: The Liberty (Coronet Head), made from 1849 to 1907, Saint Gaudens type, named after its designer, features a standing figure of Liberty on the dated side and a flying eagle on the reverse. It was made from 1907 to 1933. Mint marks are found on the Liberty Head coin on the reverse just below the eagle. On the St. Gaudens piece the mintmark is right below the date. “Twenties” are the most commonly found U.S. gold coins as many were stored in bank vaults for years. Each coin contains just slightly less than one ounce of gold (.9675 oz. ), and its price closely follows that of gold bullion. 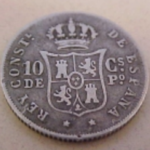 These big coins saw much use and usually show marks and wear. For that reason the coins most often encountered by the public are worth between $1,200 and $1,300. Mark free, unblemished Twenty Dollar gold pieces are rare and can be worth considerably more. There are many rare dates. 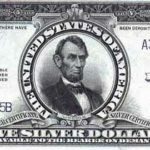 In the Liberty Head series, most of the mint marked dates from the 1850’s, 60’s, and 70’s are very scarce. Some of the most notable rare dates are the 1879-O, the 1881, the 1882, and the 1885. Any one of these coins could be worth in excess of $15,000. In the St. Gaudens series one of the rarest dates would be the 1907 High Relief. Besides its higher design relief, it is the only “Twenty” with the date in Roman Numerals. 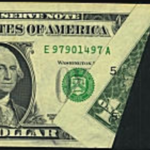 It is worth approximately $6000 in circulated grades. 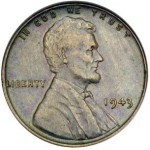 Other rare dates would include 1920-S, 1921, 1927-D, 1927-S, and any date from 1929 through the end of the series in 1933.